I was encouraged to read this book by the local store owner at Tallulah Point Overlook, GA. So glad I did. The author, Emory Jones, is a local of this area of Northeast Georgia, USA which is the backdrop of this enchanting tale. It is the early 20th century, shortly after the end of World War I. Dr Tom Garrison a newly licensed doctor travels from Macon, Georgia to be the local doctor in Clarksville, GA. As he familiarizes himself to the town and its delightful characters, he meets the resourceful Lenore Conley. Even on the first time they meet, they know their destiny is sealed. But a sinister presence lurks. Will it pose a threat? What will become of Tom and Lenore, as their story masterfully told by Emory Jones, closes at Tallulah Gorge, GA. The tale of the two lovebirds is woven into the tapestry of life and history of the Sautee Nacoochee valleys from the beginning of the hydro electricity dams being built to references to the new motorised vehicle and the aftermath of WWI for those fortunate to return home. And let’s not forget the two legends of the Sautee and Nacoochee. Will Tom and Lenore’s fate follow? 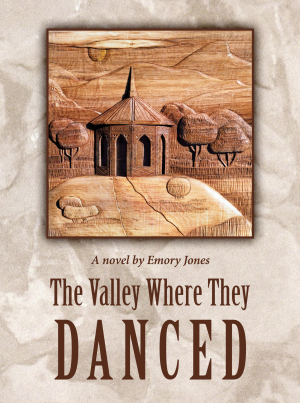 A gripping tale amidst the rich historical context kept me glued to ‘The Valley Where They Danced’. How I wish I had read this book before I visited this part of Georgia.